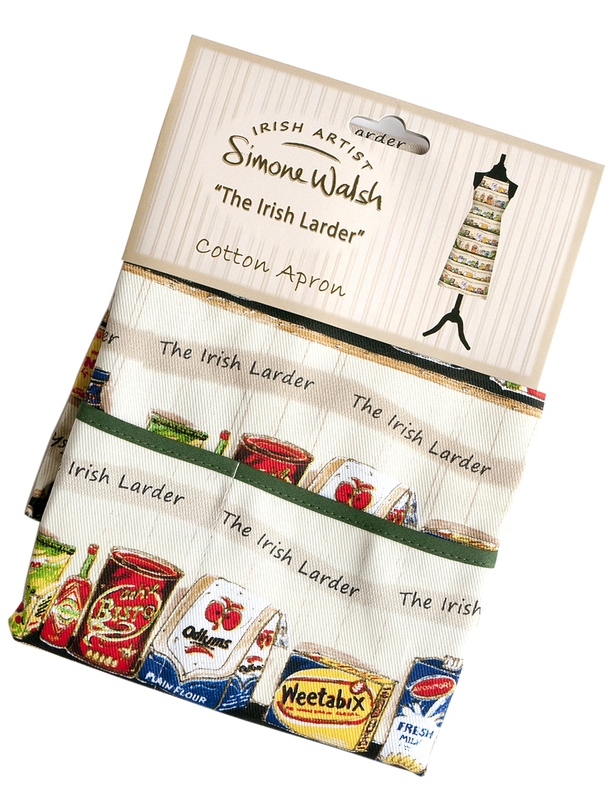 The Irish Larder 100% cotton apron. Further information below. 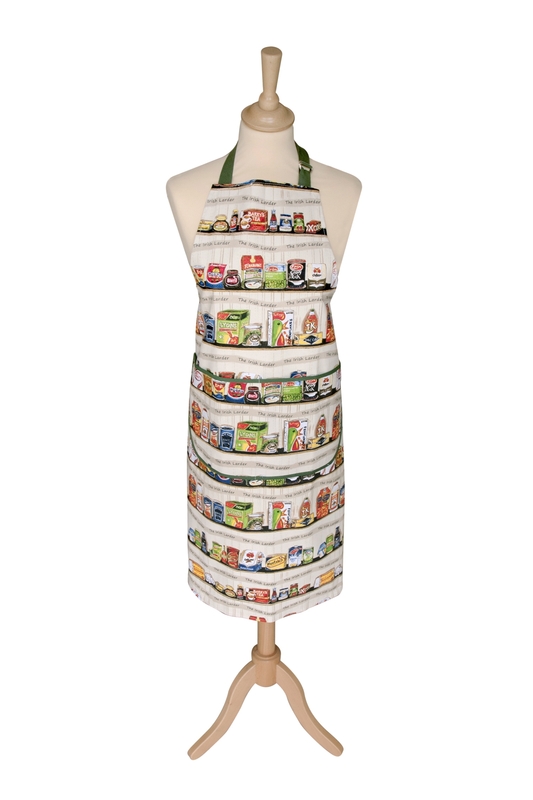 This apron design is taken from Simone’s original painting and is inspired by her memories of her mammy’s larder, always full of her favourite food staples and treats! Simone has designed her range of nostalgic Irish kitchen textiles from personal memory and experience of her childhood growing up in Ireland.